Everybody knows that neem leaves are packed with many medicinal qualities. From being an antiseptic to relieving skin problems, neem is one of the most versatile medicinal plants and is commonly used in various Ayurvedic medicines. In fact, one of the most common applications of neem in Indian medicine is as a cure for chicken pox. 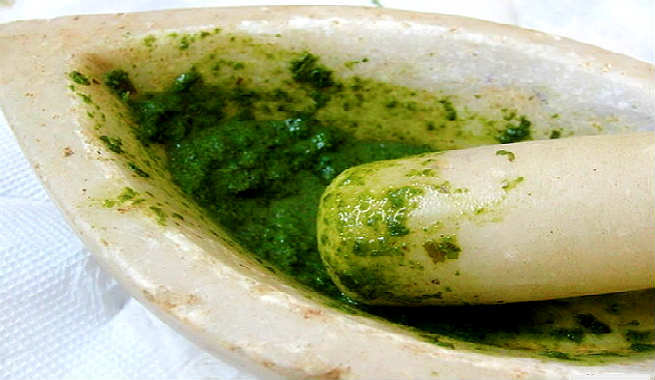 Anyone who has had chicken pox will remember how his/her skin was smeared with a thick neem paste. The reason neem is used so widely is not only because of its beneficial qualities, but also because of its easy availability. It is grown throughout India and can be found in just about any market. Today, we will explore a few beauty benefits of this versatile leaf. Azadirachta indica, commonly known as neem or Indian lilac, is a tree in the mahogany family Meliaceae. 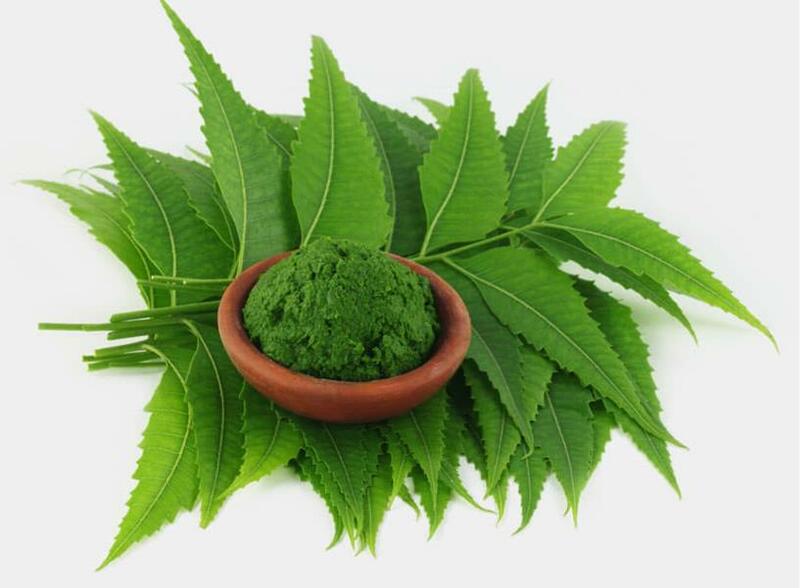 Neem leaves have been used to treat various diseases like leprosy, eye disorders, bloody nose/epistaxis, intestinal worms, indigestion, loss of appetite, skin ulcers, diseases of the heart and blood vessels (cardiovascular disease), fever, diabetes, gum disease (gingivitis), and liver problems. Neem leaves also have numerous skin and hair benefits. Let’s take a closer look at five of them below. 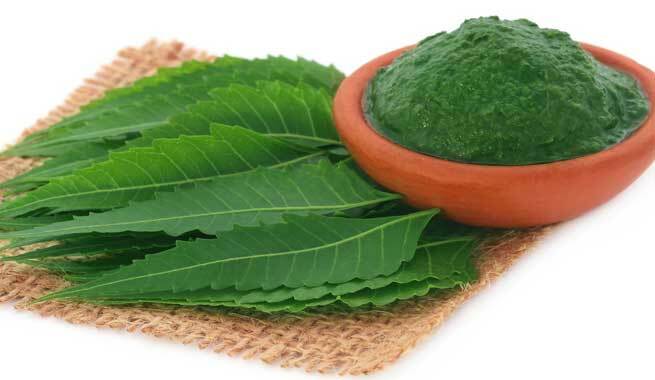 What Are the Beauty Benefits of Neem Leaves? Neem leaves have been used for centuries to help women look more beautiful. It’s a traditional method of amplifying beauty that is still practiced today because it works so well. Here are a few of its benefits, and the methods used to achieve them. Read Also – Must-Know Tricks To Use Neem Leaves For Hair Loss – Welcome Beautiful Hair! Neem leaves are packed with antioxidants that are extremely beneficial in reducing melanin production. This results in less pigmented skin and can help maintain an even skin tone. It also reduces dark spots and blemishes, giving your face a clean and airbrushed appearance. You can achieve a flawless look by simply using a neem decoction. Prepare this by boiling a few neem leaves in water and then straining the decoction. You can store this in a jar and apply it on your skin every night to remove acne and blackheads and even out your skin tone. Neem is a powerful antiseptic that has been used since ancient times. By making a face pack with neem, you can really control your acne and even get rid of blackheads and other impurities on your skin. To prepare this face pack, boil some water with a few neem leaves and an orange peel. When the leaves and orange peel become soft, remove them and grind them into a paste. Add honey, yogurt, and milk to this paste to create a smooth face pack. Apply it evenly on your skin and allow it to dry before washing it off. Repeat this process thrice a week to ensure there are no breakouts and blackheads on your skin. Neem has been proven to moisturize hair and add a luster and bounce to dull and flat hair. You can either massage your scalp with neem oil regularly, or prepare a good conditioner in your kitchen. To make a hair pack, you need to boil neem leaves in water. Make a paste when the leaves become soft. Grind the leaves into a paste and then mix with honey. Apply this paste to your hair and wash it off when it dries for soft, smooth, and conditioned hair. 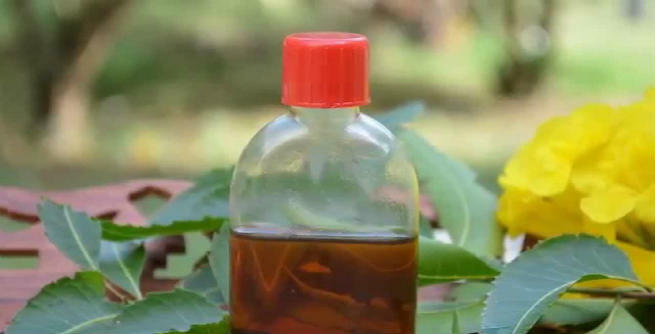 Neem is one of the most effective natural remedies to get rid of lice and dandruff. You can buy neem powder that has been made from the bark and roots of the neem tree. Making a paste of this and applying it regularly on the scalp drastically reduces dandruff and lice issues. You can also add a few tablespoons of lemon juice to this paste for even better results. We have all watched movies or heard stories where people from rural India brush their teeth with a twig. That is nothing but a neem twig. These are easily available in the rural markets and are effective in whitening the teeth and getting rid of many teeth problems like plaque, cavities, and deposits. All you need to do is chew one end of the twig really well until it becomes brush-like. Massage this end on the gums and teeth for a few minutes and then rinse your mouth with water. This method has been practiced for many years in rural India and has been scientifically proven to be a safe and effective way to fight germs in your mouth and maintain good oral hygiene. How Can I Achieve These Results? You can also chew about 2-3 neem leaves everyday, if you do not mind the bitter taste. The neem juice cleanses your system internally and gives your hair and skin the nourishment it needs. These are the five beauty benefits of neem leaves I wanted to share with you today. Do try them out and see their magical beautifying effects yourself.